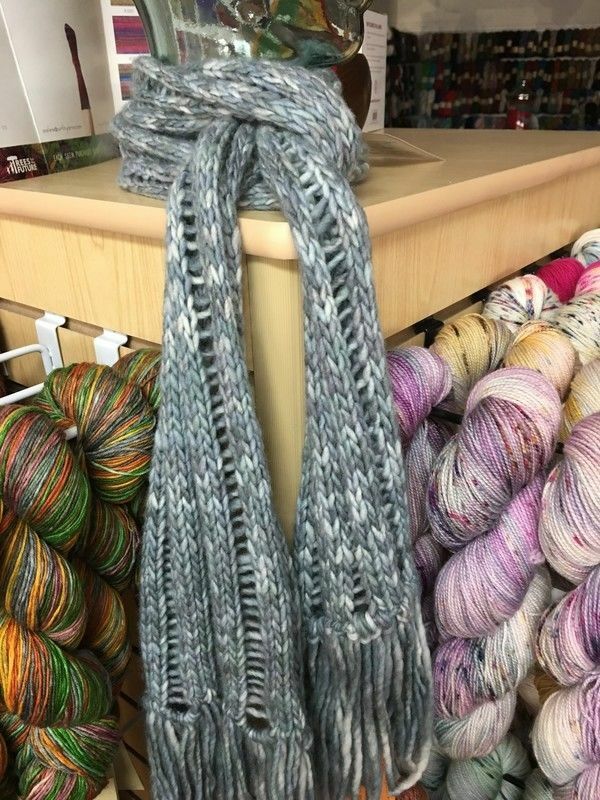 Learn how-to knit a Dropped Stitch Scarf in #ShopShowcase with Yarnatopia in Oklahoma City. It was time for me to retire and I knew I couldn't sit around and do nothing. Since I love to knit but I'm not so good at crocheting, I asked my friend, Mary, at work if she would be interested in joining me and I was so lucky. SHE SAID YES! Yarnatopia is well known for carrying a large selection of quality yarns in a price ranges to suit most every budget. We offer Chiao Goo, Hiya Hiya, Lykke and Knit Pick knitting needles. Crocheters love us because we love them too. We stock Chiao Goo, Etimo. Lykke, Hiya Hiya, Knit Picks, Boye, and Bates Crochet Hooks. Our Indy Dyer - Moondrake yarn is a favorite of ours because she keeps us well stocked in luscious yarns in amazing colors. Her mini skeins are to dye (die) for, if you will pardon the pun. This is not something we do.. Yarnatopia has always encouraged our customers to utilize our vast seating area. That said, it gets very noisy in our store, so we try not to add to the sound any more than we have to. Well, there's this great burger place in the shopping center that is well known for its onion burgers. We joke with them that they should put us on commission. If you aren't into that, the most well know Mexican restaurant chain in Oklahoma City has one of their restaurants right across the street and there is a barbecue restaurant directly behind us. If you have a sweet tooth, there is an awesome bakery about a block away. When we opened, they were two doors down. Dangerous, very dangerous! Knit A Longs (KAL) are held several times a year. In our current one, participants had the choice between a cardigan and a pullover. 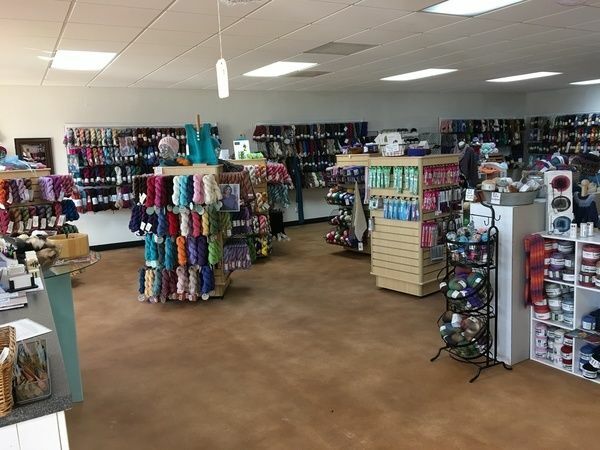 We teach beginning knitting and crochet, socks, mittens, techniques, etc. In June, we hold a Yarn Uncrawl. We tried to put together a Yarn Crawl, but the other shops didn't want to participate, so we did it by ourselves. It was a blast and so successful, we plan to do it every year. 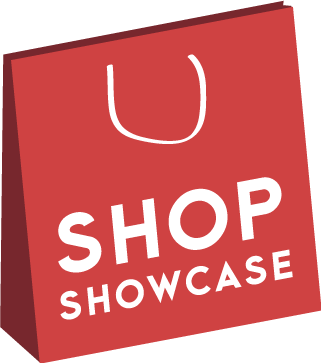 We have HUGE sales on Black Friday and Small Business Saturday every year as well. 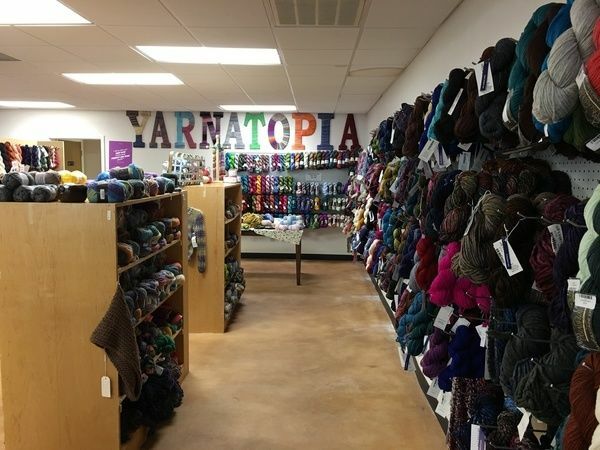 Yarnatopia is not just a yarn shop it is a community. In the beginning I only told you part of how we got started. I learned to knit in 5th grade and when I got married and had kids, my knitting was put on hold. When my husband of 34 years died, I was devastated. 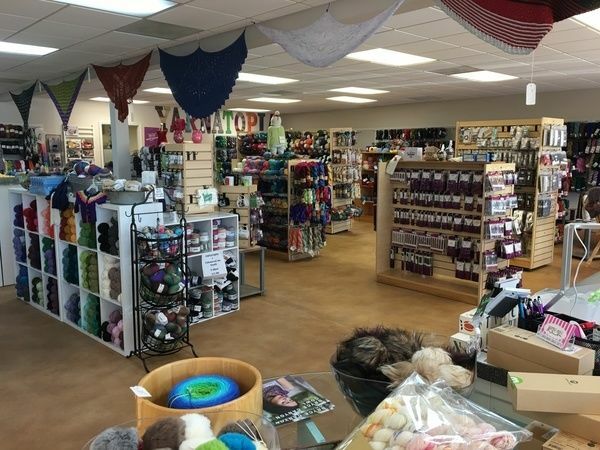 I picked up my knitting and a yarn store near me saved my life. That was the strongest reason why I decided to do this. Little did I know that my Yarnatopia community would save me less than a year later when I lost my daughter. 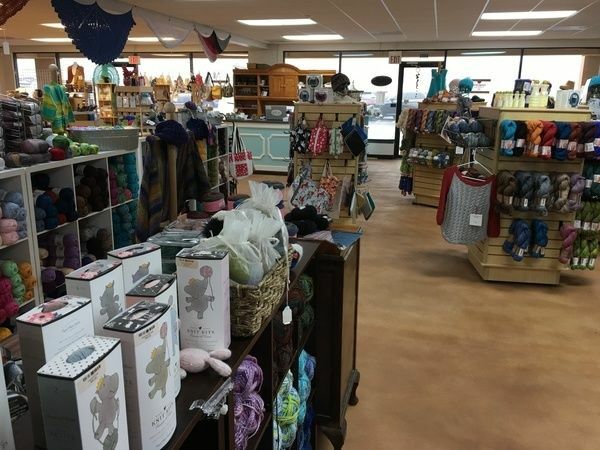 Anyone who has knitted or crocheted for very long knows that there is something about the yarn and most of the people who use it that have healing properties. We are all about that here at Yarnatopia. We get to know each other and we are there for each other in times of need. We laugh and we cry with each other. And we knit and crochet together as often as we can.